I used to make these cute little cookies at Christmas and hide treats inside. But then I realized how fun they’d be for Halloween! Since we are a family of candy corn addicts it only seemed fitting to tuck one inside to be the special treat. My daughter also loved making a candy corn colored glaze to have on top. 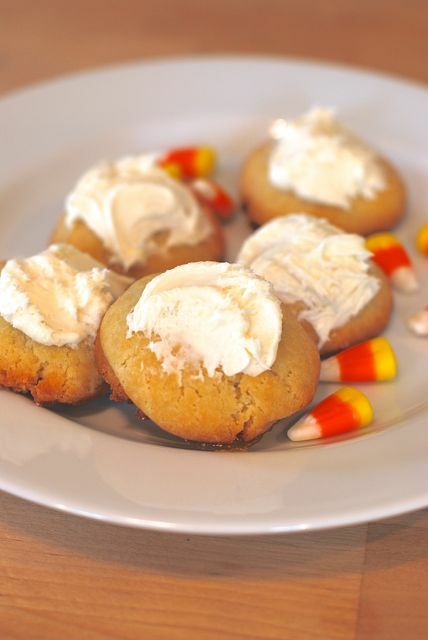 These candy corn surprise cookies are perfect for taking along to Halloween parties or tucking into lunch boxes as a special treat. 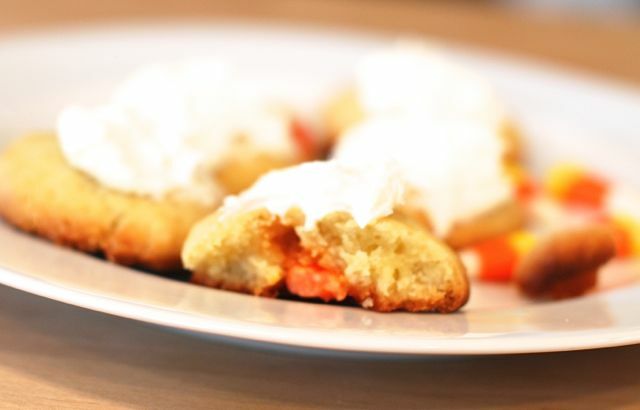 Bite into these homemade cookies and get a delicious surprise! They're a trick AND a treat. Step 1: In a large mixing bowl beat the butter and sugar until light and fluffy. Add the egg and vanilla and beat well. With the mixer on low, add the flour slowly until just incorporated. Transfer the dough to plastic wrap and wrap well. Chill for at least one hour, or up to one day. Step 2: Preheat the oven to 350 degrees F. Line two baking sheets with parchment paper. Pinch a teaspoon worth of dough into your hand and wrap the dough around one or two pieces of candy corn. Then roll it into a ball with the palm of your hands. Place the balls on the lined baking sheet. They will not expand as they bake. Step 3: Bake the cookies for 15 to 18 minutes, or until the edges are golden brown. Allow them to cool on a wire rack. Once they have cooled completely, frost with icing and serve.